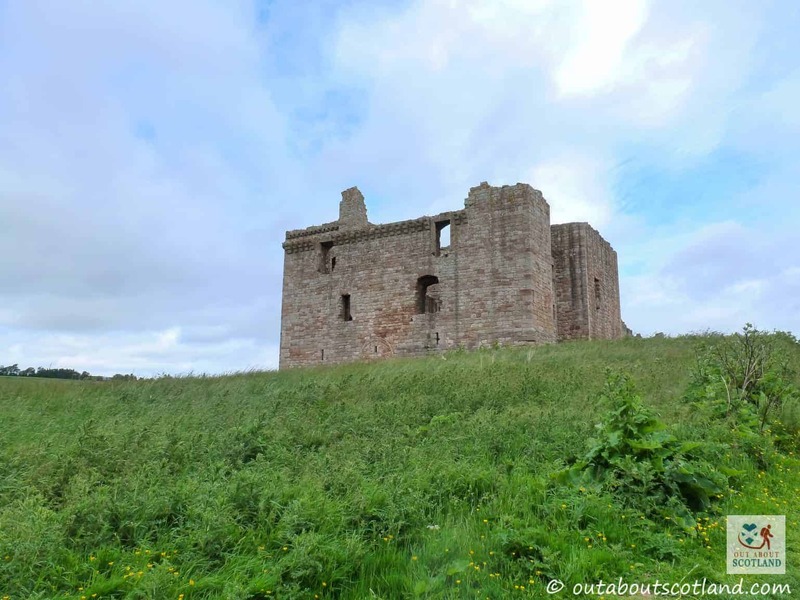 Tucked away in the Midlothian countryside overlooking the River Tyne stands Chrichton Castle, the 14th-century former home of the Chrichton family and the Earls of Bothwell. 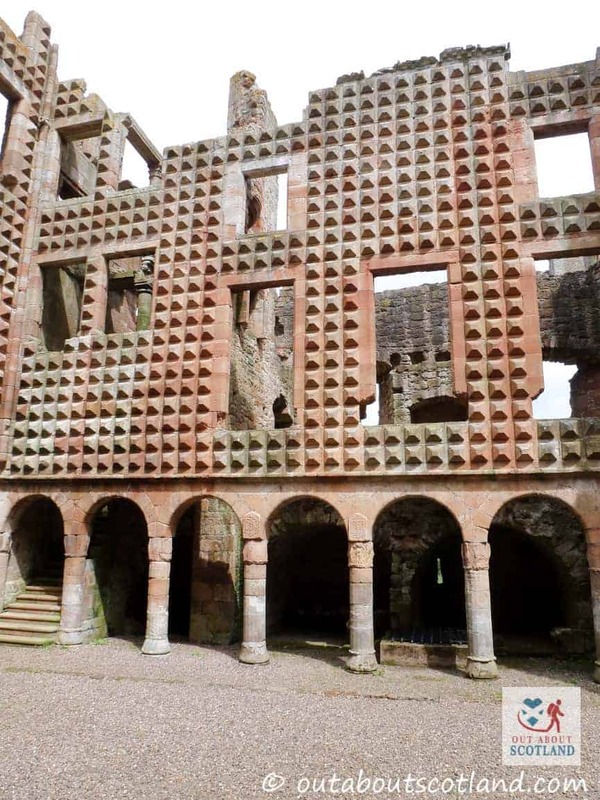 As a tourist attraction it has a couple of features that make it worth visiting including a unique pattern carved into the red sandstone of the interior walls and a large stable block set to one side, but many visitors will likely choose to visit this small historic site merely as an add-on to a visit to Vogrie Country Park which lies just a couple of miles to the north. 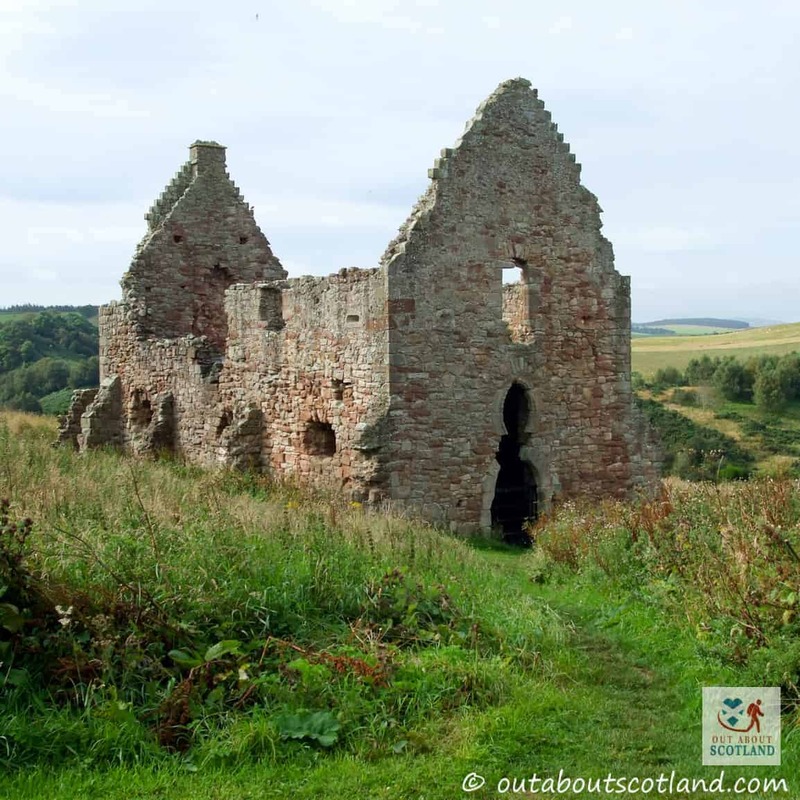 Even so, a journey to Chrichton Castle is definitely worth the effort as it offers a very peaceful rural setting coupled with enough nooks and crannies that kids will be kept occupied for a good hour or so, and there are enough information boards dotted around that they might even learn a few new things about Scotland’s history too. 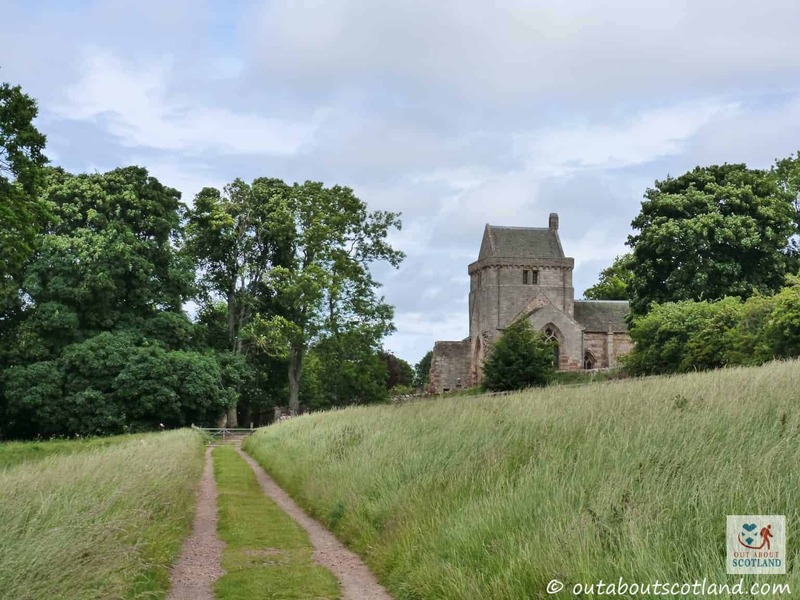 A walk around Chrichton Castle isn’t exactly going to take you all day but it’s definitely unusual enough that it’s worth making the journey for, if only to kill a couple of hours while you’re in this part of Midlothian. 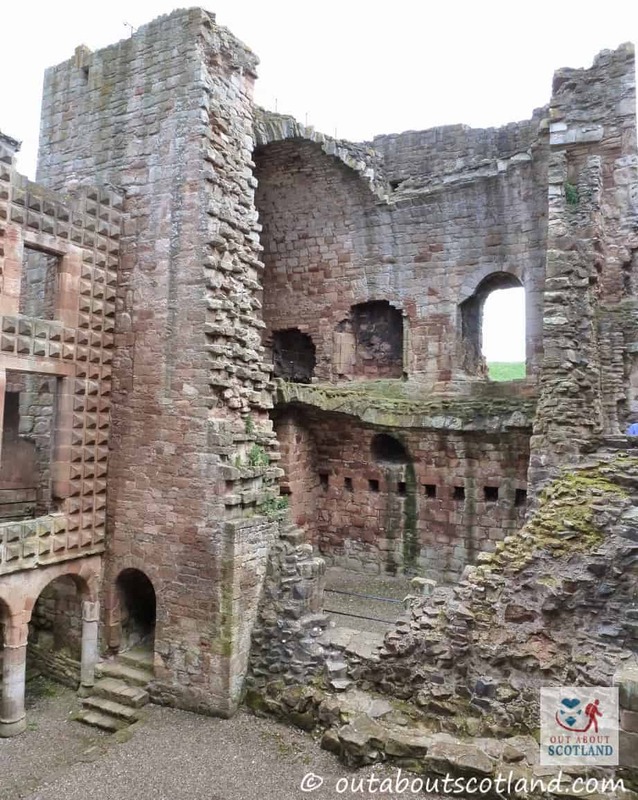 The short walk from the car park at the nearby church will take you across a rather nice landscape of gently rolling hills with Crichton Castle clearly visible up a slight incline, and once at the site entrance you’ve got the option to either walk around the castle or head to the nearby stable building. 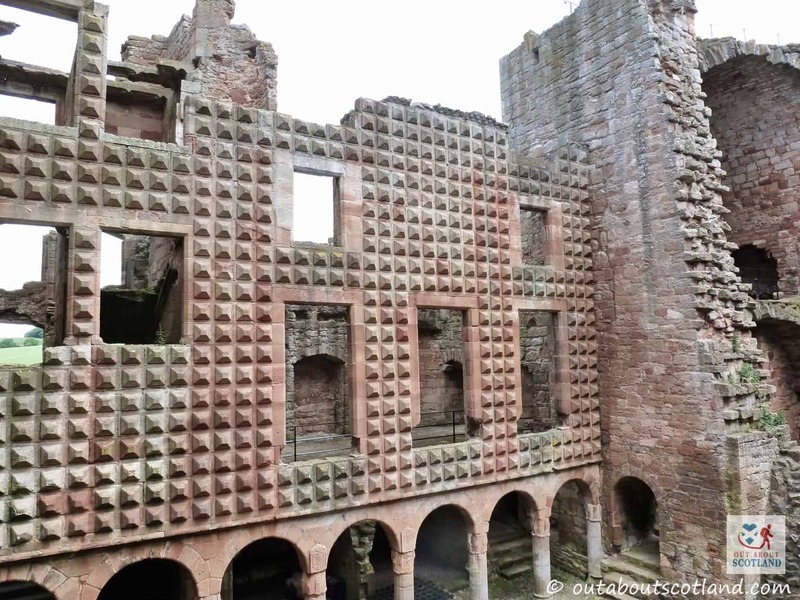 Both buildings are really just roofless ruins, although the inside of the castle is quite impressive thanks to the diamond-shaped stonework carved into the facade in the north range in what was once the Earl of Bothwell’s family lodgings. 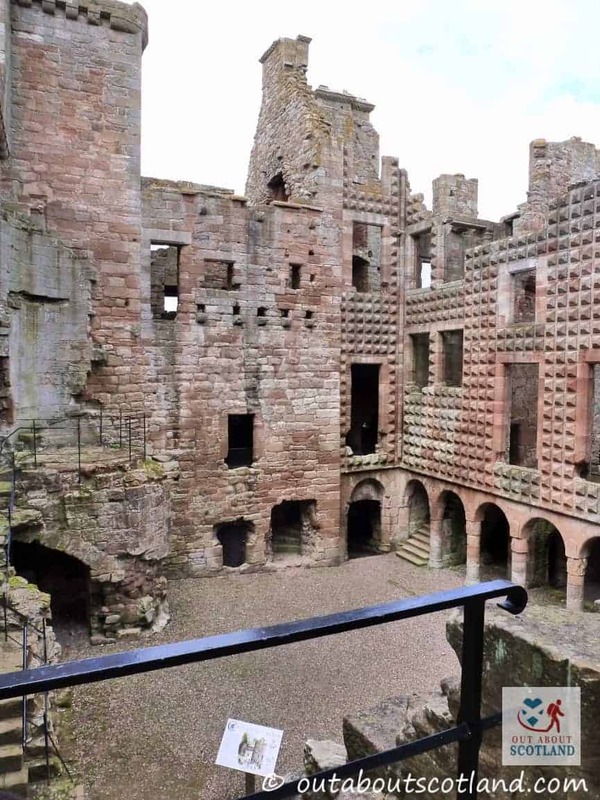 There are a few sections of the castle open to visitors to explore including the kitchen and the Great Hall, and several original stairways allow access to the upper levels where you can get a good view of the Midlothian countryside with Tyne Water flowing peacefully nearby. 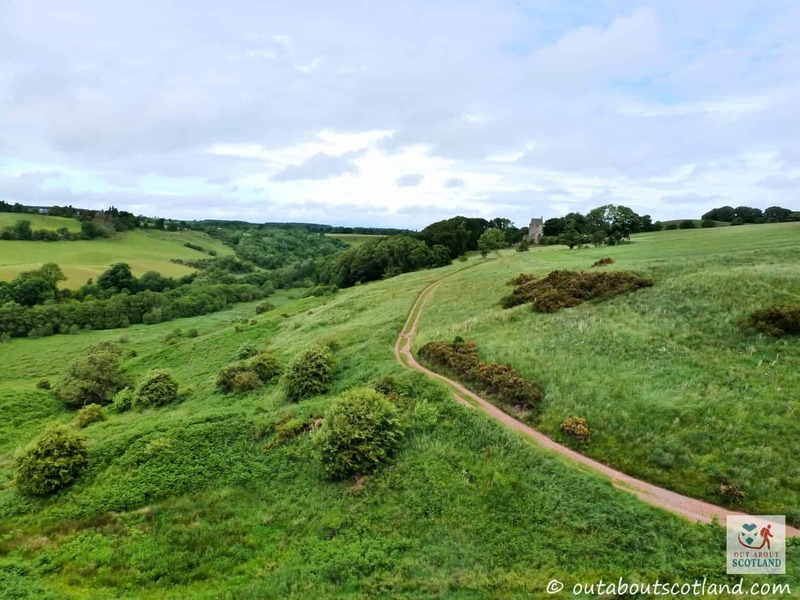 The valley below the castle is protected due to there being a number of bats roosting in the area and you can often see them swooping about on the hunt for insects at dusk, so if you’ve got an interest in wildlife it might be an idea to bring a pair of binoculars with you during your visit. 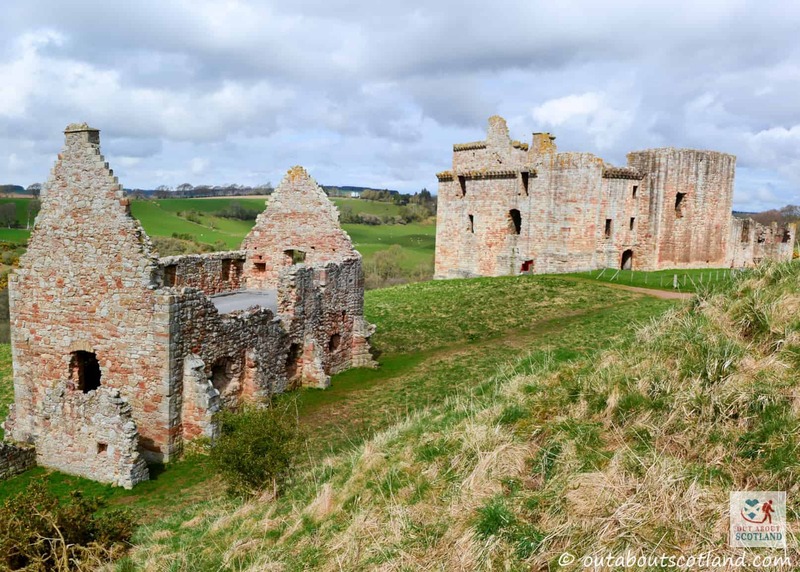 The castle has a small HES shop and the attending guide will be only too happy to give you a rundown of the site’s history, but don’t expect much more than a few souvenirs and packs of shortbread inside. Luckily the towns of Gorbridge and Pathhead are just a short distance away so you’ll find plenty of cafe’s if you’ve got hungry kids to feed, and Chrichton is close enough to Vogrie Country Park that you can combine a visit to both attractions quite easily in one afternoon. 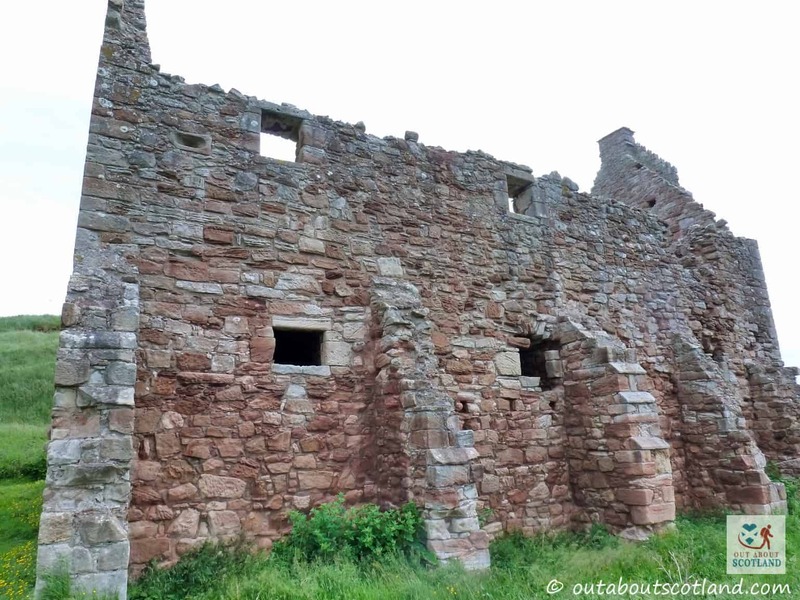 The castle was built for the Crichton family in the late 1300’s and it served them as their primary seat of power for nearly two hundred years, until their influence declined in the late 15th-century at which time ownership of the castle changed into the hands of the Earls of Bothwell. 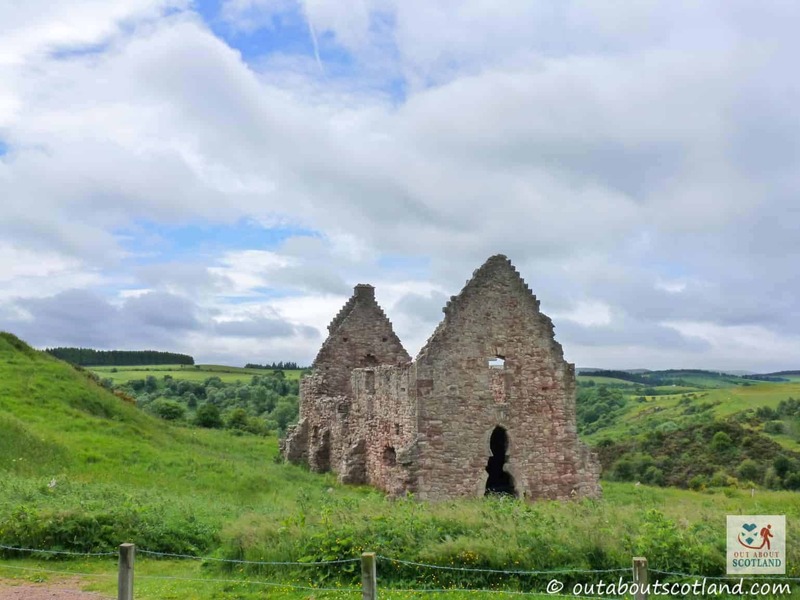 While the castle isn’t famous for any particular event it’s still an important historic site due to the impact the Bothwells had on Scotland, particularly the 4th Earl who married Mary Queen of Scots in 1567. 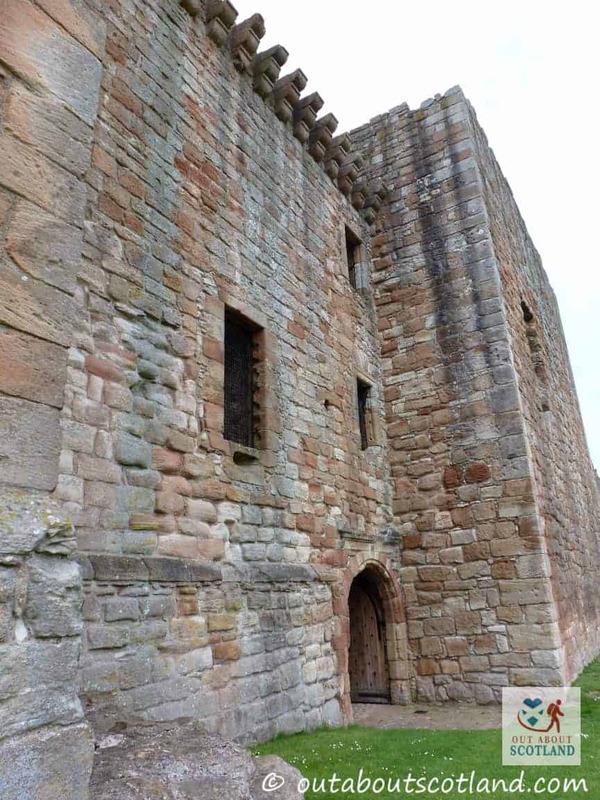 This might go some way to explaining why the 5th Earl created such an impressive stone facade on the family lodgings which overlook the central courtyard, a feature that must have been quite a talking point for visitors to Chrichton Castle nearly 500 years ago.